I first came across Blue Pumpkin Corsetry, an indie brand run by Eleanor Dalton, when I spotted her corset-like boned bralettes on Etsy. 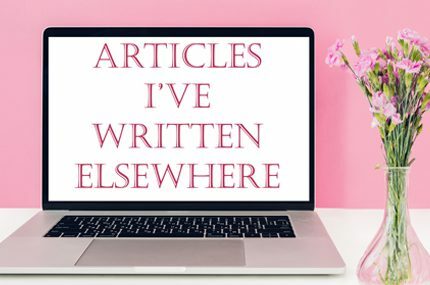 Esty: So what’s your design background? Did you study lingerie or corset design, or are you entirely self taught? Eleanor: I dropped out of school when I was 16 and joined a fashion and textiles course at the local college. I’d always had an interest in sewing as my mother used to sew when I was a child, and there was something really special about the creative process that I learned to love from really early on. College didn’t have the time or resources to teach me how to make corsets which, by the time my final major project rolled around, I had developed quite a passion for. I was determined to give it a go so I bought a book on pattern-cutting for lingerie (by Ann Haggar) and a book about making corsets (by Linda Sparks) and went for it. My first corsets were a mess but it allowed me to develop an understanding of the female form that was a vital underpinning for where I am today. Esty: What drew you towards corsetry specifically? Eleanor: I always had an interest in costumes from watching my mum make them, and more often than not corsetry is a required foundation for women’s period costumes. The final thing that pushed me over the edge was a corset made by an online friend who was part of the DeviantArt community. He had made a beautiful corset out of fuchsia pink silk with a turquoise lace overlay. It was so beautifully crafted that I fell in love there and then; that was the catalyst for my final major project at college and therefore set me on this path. Esty: What inspires your designs? You mentioned costuming – are your corsets based on historical patterns or have you developed your own shapes and styles? 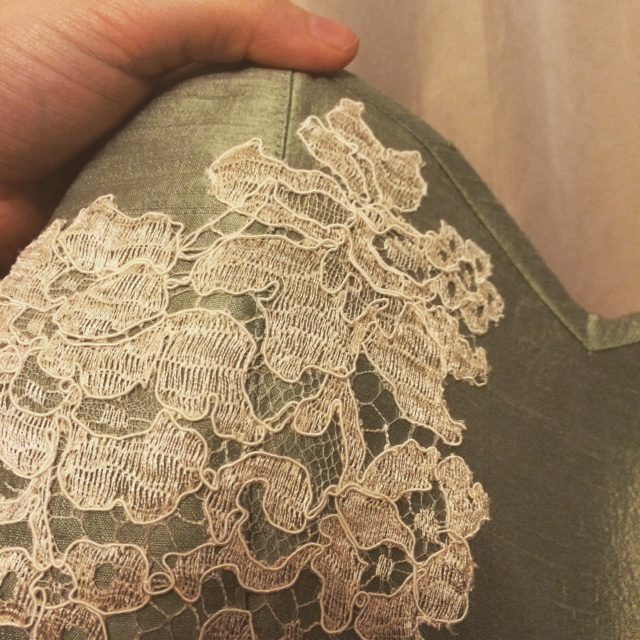 Eleanor: My designs are largely inspired by beautiful fabrics and lace and ribbons. I usually end up buying lengths of fabric solely because I like the print or can imagine it playing a part in one of my corsets. The floral prints are an example of that, as is the macaron print I have used as a lining and in subsequent bralette designs for customers. Pattern development is (as boring as it is) my strength. I spend a lot of time developing the pattern to give the best and most comfortable fit. Corsetry should look great and feel great. No compromise. Esty: What makes Blue Pumpkin Corsetry unique? Eleanor: All my corsets are made in what most would consider the ‘correct’ way to make them. Steel boning, all the fabric layers, the two-part eyelets etc. but what really makes me and my corsets unique is my approach to business. I believe that everyone should have the opportunity to own a corset that is made for them and I don’t believe that it should cost them every penny of their savings. I will never compromise on my standards or the quality of the materials I use, but I am happy to work for minimum wage because I’m doing what I love. As a result I do not charge a fortune for my corsetry or my wedding dresses and my clients still get high-quality, bespoke corsetry. Eleanor: After finishing college I became addicted to developing my corsetry skills which was a long and repetitive process. I made corset after corset in varying styles and at varying level of success. This one below is my favourite. For this, I bought the silk from the USA and it cost me a fortune. It was heavily slubbed and at the time slubby dupion was hard to get hold of in the UK. I wanted to develop a style that wasn’t bound at the top and bottom edge but I wish I had covered the black coutil lining with a more appropriate or matching colour. The theme was “Pisces” and the scales on the front are to resemble fish scales, but look more like dragon scales in hindsight! I look back at this picture whenever I need to remind myself that anything is possible, though sadly I no longer have the actual corset. Esty: It looks very unique! Talking of special corsets, which famous corset do you wish you could say you’d designed? Eleanor: To be honest there are that many wonderful, beautiful corsets out there it’s hard to pick one as my favourite. I do love to see celebrities in corsets but I generally lean to the ones I could never make myself. Corsets made out of metal or leather fascinate me. It’s always interesting to see the costumes on shows like Game of Thrones. I loved the whole ensemble worn by Beyoncé in her Mrs Carter tour but I dare say I would’ve done it differently. 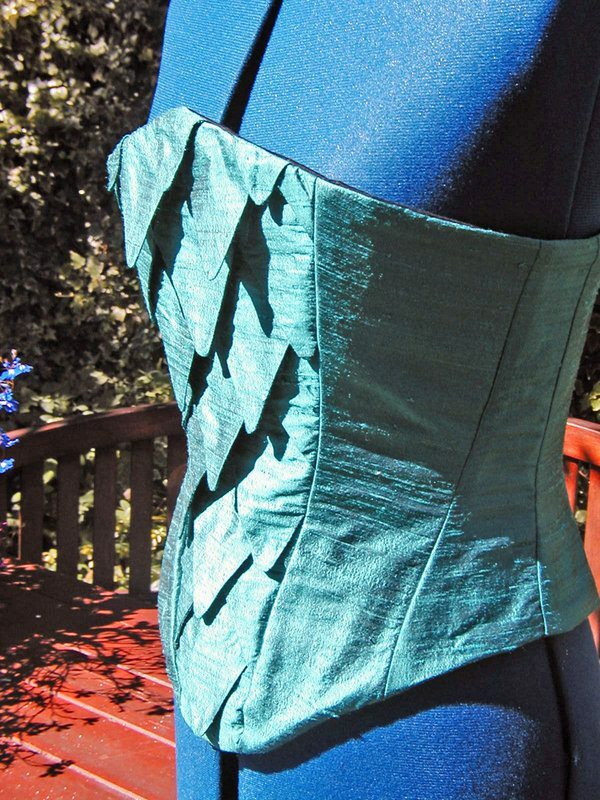 Esty: Finally, what advice do you have for someone wanting to buy their first corset? Eleanor: Talk to the designer. Corsetry is quite intimate as it speaks to who you are and who you want to be. Having someone who can share that vision with you is important. Ask them about their skills and develop a relationship with them. Talk about fit. Learn to measure yourself correctly. Be willing to set a realistic budget. Buying a corset can be an exciting and exhilarating experience when it’s done right. You can buy Eleanor’s designs in the Blue Pumpkin Corsetry Etsy shop, where boned bralettes start from £65.49 and corsets start from £163.73. What do you think of Blue Pumpkin Corsetry? Are you a fan of the corset bralettes?